" A] searching and surprisingly witty look at the scientific odds against tomorrow." --Timothy FerrisJonathan Weiner--winner of the Pulitzer Prize, the National Book Critics Circle Award, and the Los Angeles Times Book Prize, and one of the most distinguished popular science writers in America--examines "the strange science of immortality" in Long for This World. 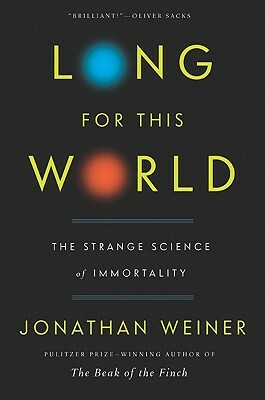 A fast-paced, sure-to-astonish scientific adventure from "one of our finest science journalists" (Jonah Lehrer), Weiner's Long for This World addresses the ageless question, "Is there a secret to eternal youth?" And has it, at long last, been found?